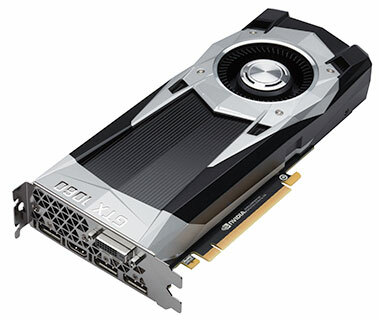 NVIDIA today announced the GeForce GTX 1060, its third consumer graphics card based on the "Pascal" architecture, which we are reviewing today. We absolutely love the GeForce GTX 1080 and GTX 1070 this architecture debuted with, but those SKUs are pricier than expected, especially with custom-design cards using the costlier "Founders Edition" pricing instead of NVIDIA's MSRP for those SKUs as a baseline. This is a problem as NVIDIA had nothing new below the $380 mark. AMD recently launched the Radeon RX 480 priced at $229. It offers performance at least on par with $350 SKUs from the previous generation, presenting an attractive option for people still gaming on 1080p or even 1440p with moderate details. 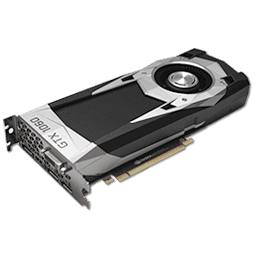 This caused NVIDIA to accelerate the launch of its GeForce GTX 1060 graphics card from its rumored Fall 2016 launch. NVIDIA is pricing the GeForce GTX 1060 at a surprising $249 price point, which is just $20 more than the Radeon RX 480 8 GB. Its Founders Edition reference-design SKU, which we are reviewing today, is priced at a $50 premium, at $299. We hope custom-design boards orbit at around the $249 MSRP and not the $299 GTX 1060 Founders Edition price, although we expect them to start somewhere between those two price points instead. The GeForce GTX 1060 is based on the third ASIC derived from the "Pascal" architecture, the GP106. Built on the 16 nm FinFET process, this chip features 4.4 billion transistors and a die area of just 200 mm². It features exactly half as many shaders as the GP104, although its memory interface is just 33% narrower. The card draws power from a single 6-pin PCIe power connector and its TDP is rated at just 120W. The GTX 1060 is endowed with 1,280 CUDA cores spread across ten streaming multiprocessors, 80 TMUs, 48 ROPs, and a 192-bit wide GDDR5 memory interface, holding 6 GB of memory. The core is clocked at 1506 MHz, with a GPU Boost frequency of 1709 MHz, and the memory runs at 8 Gbps, belting out 192 GB/s of memory bandwidth. NVIDIA is claiming performance figures for the GeForce GTX 1060 that match the GeForce GTX 980 from the previous generation. This is interesting because the GTX 980 not only plays everything at 1080p, but is also very capable at 1440p. In a way, NVIDIA is bringing high-detail 1440p gaming to the masses.